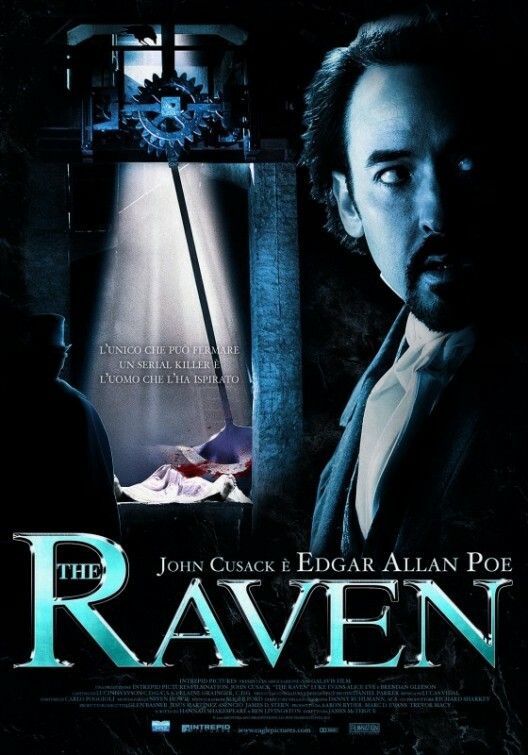 The Raven is an entertaining ficionalization of Edgar Allan Poe’s mysterious last days of life. He was found in the gutter near death, dressed in someone else’s clothes, delirious, and died a few days later in the hospital. The movie, which came out this weekend, stars John Cusack as the dark writer. The plot involves someone killing people in the exact manner as Poe’s stories. I was looking forward to seeing the most iconic Gothic writer put to screen, as well as their solution to his mysterious death. I didn’t expect it to be a work of cinematic genius, and it wasn’t, but it does what it sets out to do and gives the viewers a good story with some gruesome moments. It is just as macabre and mysterious as one of Poe’s stories, and Cusack is surprisingly believable as the neurotic writer. Aesthetically, the movie is bleak, washed-out, and quite Gothic-looking, which I thought was perfect. There is also some action intermingling with the literary aspects, done similarly to the new Sherlock Holmes movies. 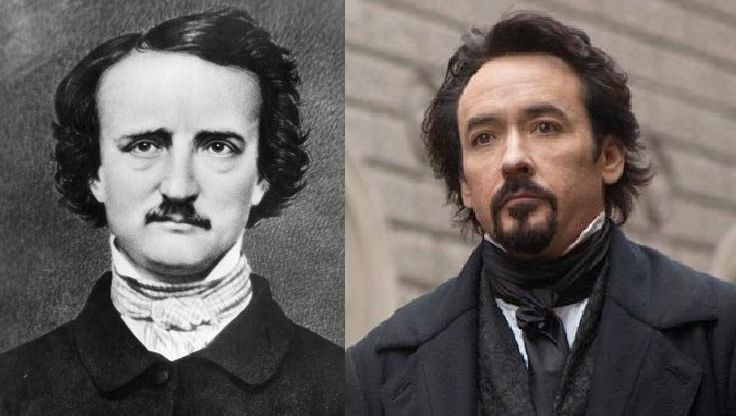 Verdict: Poe had a gigantic forehead. Were Poe a fictional character, he would certainly be analyzed as a Bryonic hero. His life was filled with tragedy, as his family and wife all died of Tuberculosis, leaving him a lonely alcoholic. He was a genius, but not very much respected. In the movie, we see his arrogance, cynicism, and disrespect in the way that he talks down to others and his own self-aggrandizement, and because of this he is treated with disdain. Byronic heroes are almost the opposite of the typical idea of a hero; they are closer to an anti-hero. But this is what makes them so interesting and unique. We have courageous action heroes coming out of our ears in modern cinema. It’s a refreshing change to see a flawed, intelligent, literary, very un-heroic character become the protagonist. More and more it seems we’re embracing the Byronic hero, even in popular characters like Gregory House and Severus Snape. Byronic heroes work best in tales of darkness, as they are dark characters themselves. Since Poe is both a writer of Byronic heroes and a Byronic hero himself, he is perhaps the best example (outside of Lord Byron) of such a character. 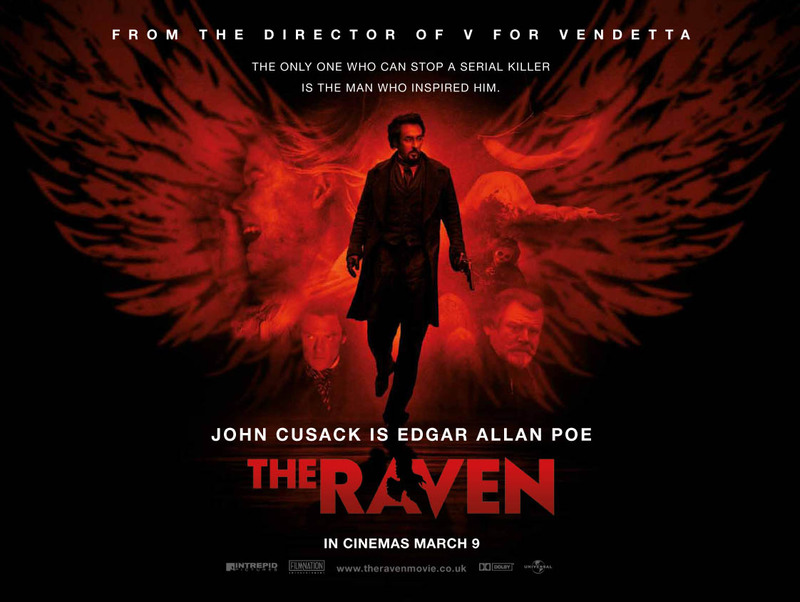 It’s really the essence of Poe captured in the movie which makes The Raven so interesting. Many will enjoy the movie for the entertaining yarn it is, but there is certainly something intriguing about our tragic hero that draws us into the darkness and doesn’t let go. Thanks for posting this, Joanna. No one in my family will watch this sort of thing with me, so I am forced to go it alone. Typically, what this means is, I will miss out, so I just put it out of my head. Every once in a while, however, I do take the time to see something dark. Perhaps this will be the next one. Maybe you could convince them to see this. It’s not straight-up horror, more of a Gothic mystery tale–also historical (well, kind of) and literary! You need to find someone who will see these things with you. That, or turn to Netflix and just wait a little longer to see movies. Would it be self-aggrandizing if I described myself as Byronic? Hahaha go for it! Though if you are Byronic you may already be self-aggrandizing in nature. I’m a big fan of Poe and hadn’t even been aware of this movie being in the works until it popped up on Fandango when I was checking show times for something else. I almost nixed the other in favor of this one, but stuck with my original plan. After reading your review, however, I am now certain that this will be my next moviegoing experience. Thanks for sharing!